In trees, buildings, or nest boxes. Lined with fine material., Grasses and mud. American Robin: Large, familiar North American thrush with gray-brown upperparts, rich red-brown breast, and white lower belly and undertail coverts. Head appears black with white splotches surrounding the eyes, and throat is white with black streaks. 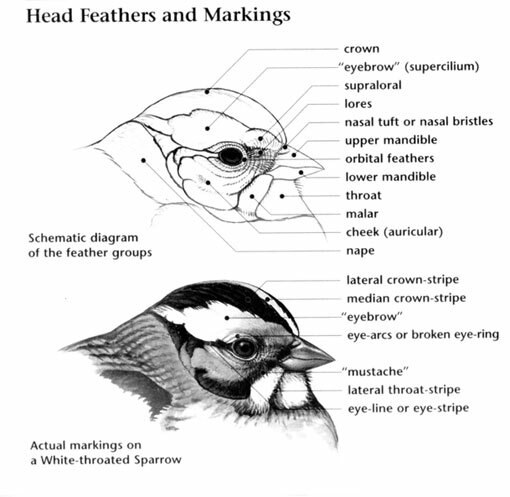 Female is slightly paler and duller than male. Juvenile has brown-spotted, pale rufous-brown underparts. American Robin: Three to seven pale blue eggs, sometimes flecked with brown, are laid in a well-made cup of mud reinforced with grass and twigs, lined with softer grass, and built in a tree or on a ledge. Incubation ranges from 12 to 14 days and is carried out by the female. Robins usually have two broods per season. American Robin: Feeds on wild and cultivated fruits, berries, earthworms, and insects such as beetle grubs, caterpillars, and grasshoppers; appears to "listen” to the ground by cocking its head when stalking earthworms. American Robin: Song is a series of rich caroling notes, rising and falling in pitch: "cheer-up, cheerily, cheer-up, cheerily." 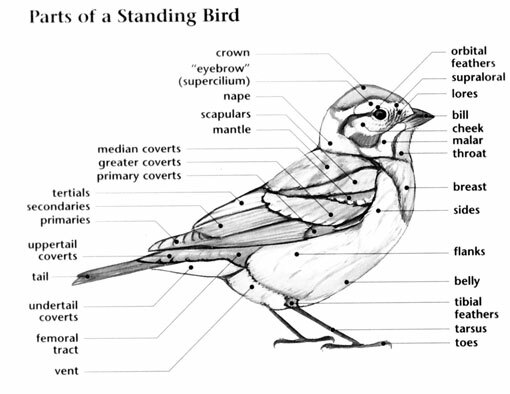 American Robin: Rufous-backed Robin has rufous back and black-tipped yellow bill. 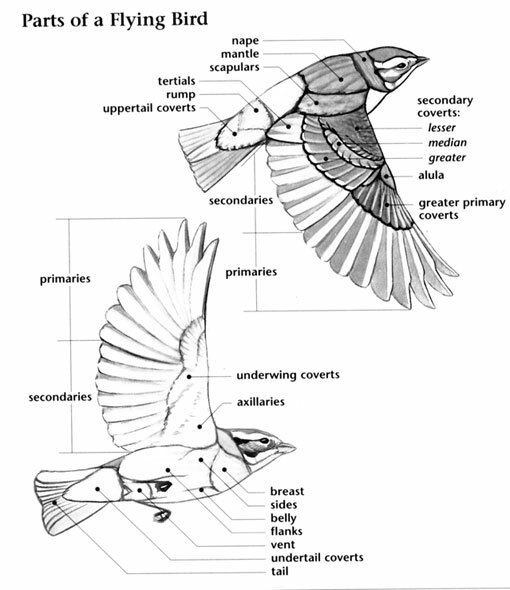 Varied Thrush has dark band across breast and orange wing bars.